What Happens to a United States IRA if You Retire in a Different Country? 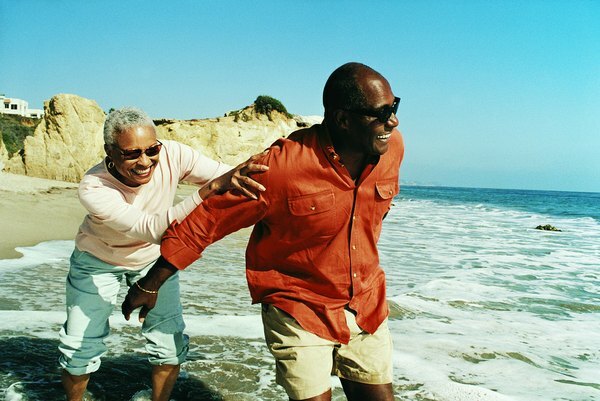 Your IRA is still taxable, even if you retire abroad. 1. What Happens to Your IRA When You Leave the U.S.? 2. What Happens When You Withdraw Money From a Traditional IRA? You may have many reasons for wanting to retire in another country – the lifestyle, the culture or maybe you'll be returning to the land of your birth – but saving on taxes shouldn't be one of them. Uncle Sam will not let you out of a tax obligation just because you no longer live in the United States. That obligation extends to your individual retirement account. Regardless of where you choose to live, you can expect to pay any required taxes and penalties on your IRA. Specific rules apply depending on whether you remain a U.S. citizen, what type of expat you are and any state-specific residency requirements. If you live abroad as a U.S. citizen, you are still required to file an annual income tax return, and taxes imposed on your IRA distributions will be the same as though you were living in the U.S. That is, distributions from a traditional IRA taken after you reach age 59 1/2 will be taxed as ordinary income, and distributions from a Roth IRA taken after you reach age 59 1/2 with the plan in effect for at least five years will be tax free. With the exception of special circumstances allowed by the IRS, early distributions taken before that time from either plan would be subject to taxation and an additional 10 percent penalty on the untaxed portion. The same would apply to someone who qualifies as a non-resident alien and who participated in a U.S. IRA. Even if you renounce your U.S. citizenship, you will still be obligated to pay taxes on previously untaxed portions of your IRA. Technically, it is illegal to give up your citizenship just to avoid taxation, but just to make sure, the government imposes different rules depending on whether you are "covered" – meaning your income or net worth exceeds certain limits and you failed to file a return for the five years preceding your expatriation – or not covered. As a covered individual, your IRA, along with its tax benefits, terminates on the day your citizenship ends, and the entire previously untaxed value of the account will be taxed as regular income. This means that previously untaxed investment income in a Roth IRA would also be subject to taxation if it counts as an early distribution. The 10 percent early distribution penalty does not apply to either the traditional or Roth IRA in this case. If you have given up your U.S citizenship and are not considered a covered expatriate by the IRS, your IRA can continue in effect, meaning you won't have to take immediate distributions and pay taxes. You won't, however, be able to continue making contributions. When you begin taking distributions, they will be subject to automatic withholding, which could be as much as 30 percent. Many countries these days participate in tax treaties with the U.S. They regularly exchange information about residents, so it's unlikely you could hide from your tax obligations for long. On the plus side, the U.S. usually allows a foreign tax credit for taxes paid to a foreign government that the U.S recognizes and with which it has diplomatic relations. This can, in some cases, seriously reduce or eliminate taxes owed to the U.S. However, even if you expect to owe no taxes, tax attorney Donald D. Nelson recommends filing an annual return; while a statute of limitations generally applies on filed returns, there is no statute of limitations if you don't file, meaning taxes and penalties could mount for years. As a U.S. citizen living abroad, you could also be subject to state income tax on your IRA distributions. It all depends on the state's rules of residency, which vary. If you maintain any connections to some states, such as having your car registered there or even keeping a bank account in the state, the state may consider you a resident and require you to file and pay state income tax. For example, in California, you're only considered a resident if you intend to return to the state after a temporary stay abroad. If you are a nonresident, you are only taxed on California-sourced income above a certain amount. But if your IRA is based in California, it is California-sourced income, and distributions may be taxable. What Makes a Student Loan Qualified for Tax Deductions?